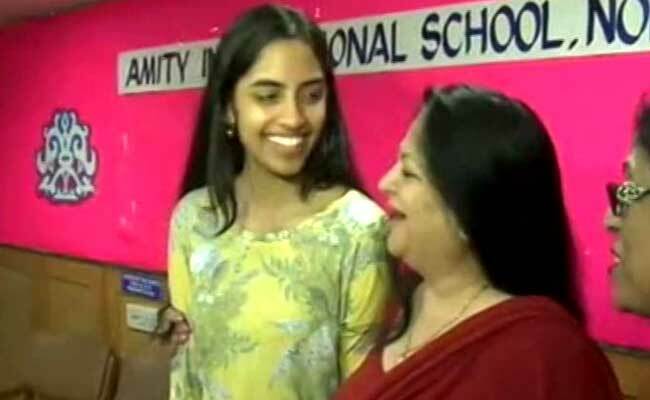 CBSE class XII topper Raksha Gopal who scored a whopping 99.6 per cent today said that she wants to pursue a bachelor's degree in political science and become an IAS officer. Noida: CBSE class XII topper Raksha Gopal who scored a whopping 99.6 per cent today said that she wants to pursue a bachelor's degree in political science and become an IAS officer. She said this at a felicitation ceremony in Noida where she was honoured by Union minister Mahesh Sharma. "Noida's daughter has made her school, parents and entire country proud by scoring a whopping 99.6 per cent in humanities, which is a feat in itself," said the Union Minister of State for Tourism and Culture. "Prime Minister Narendra Modi wants to promote daughters and girls of the country by providing them empowering platforms and Raksha has fulfilled her dreams through her impressive achievement," he said. He said that Raksha is an inspiration for all the girls in the country and wished her luck in all her future endeavours. Raksha told PTI that she did not rely on any coaching for the unusual feat. "I did not enrol for any coaching or tuitions and did self-studying, taking help from my teachers. Humanities is as interesting and scoring as any other stream. I want to pursue political science honours and become an IAS in future", she said.